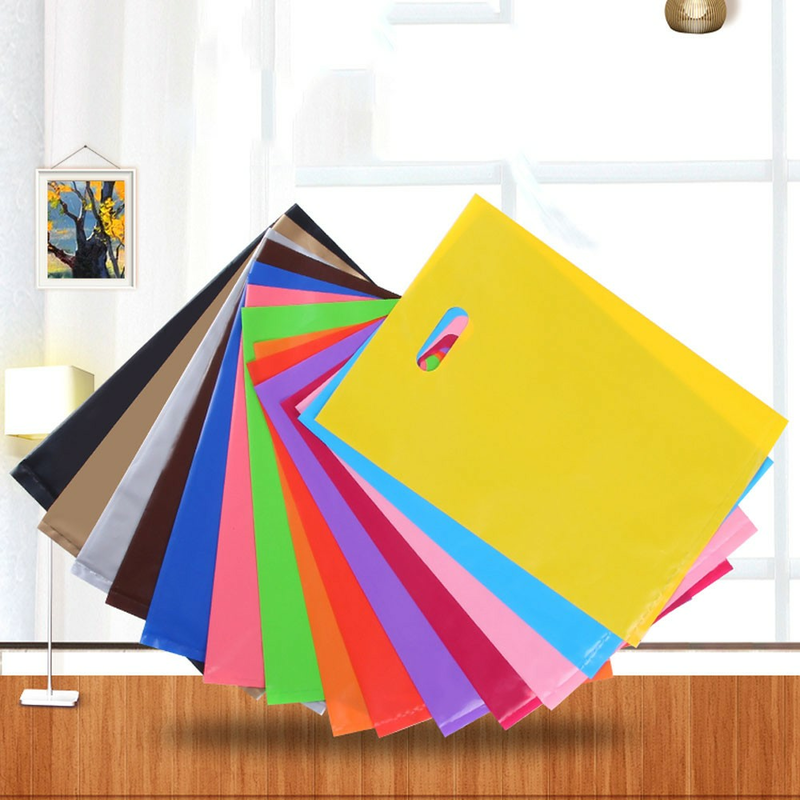 The glossy die cut merchandise bags are made from 1.38 MIL polyethylene plastic material. 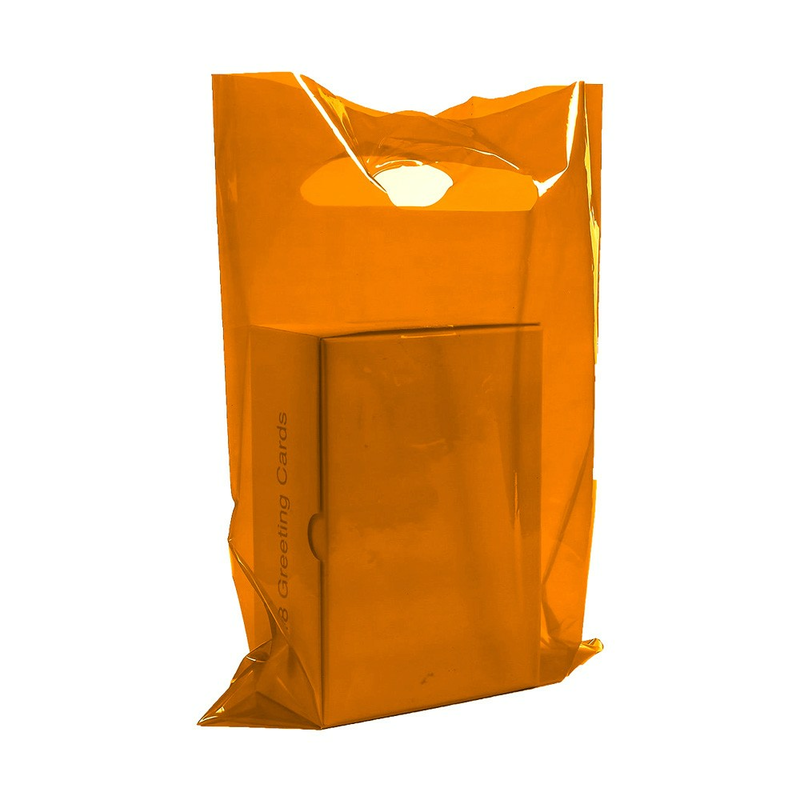 These bags can be used in variety of purposes, such as, shopping, trade shows, events and as goody bags. The die-cut handle makes them user friendly. 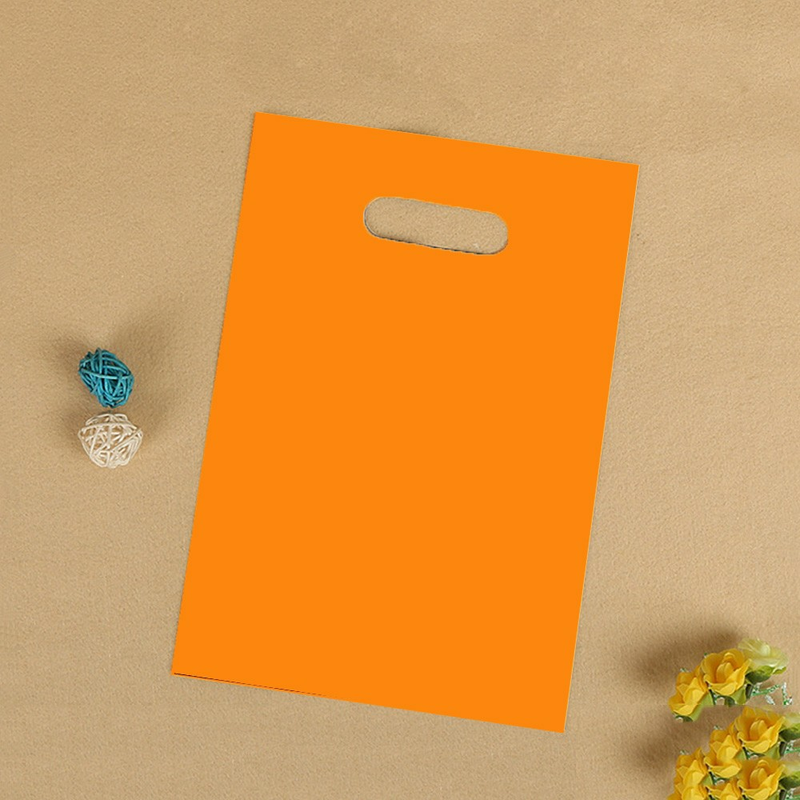 These bags are 100% recyclable and reusable. Outer Dimension: 40 cm x 50 cm (15.5" x 19.5"). 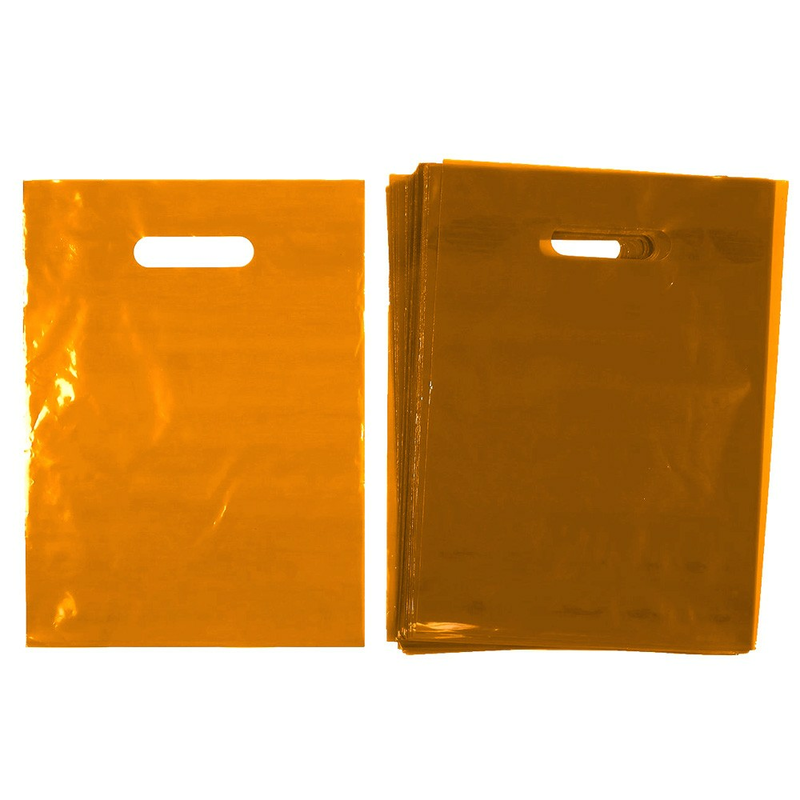 These are 100 bags per pack, which is equivalent to 300 bags per lot.